If we were ever trying for geographic diversity, this week wins. We begin with Morocco’s Marathon des Sables before circling back to the U.S. for the Lake Sonoma 50 Mile. Then we dive into the Ultra-Trail World Tour’s big weekend with Croatia’s 100 Miles of Istria, Spain’s Penyagolosa Trails, and Argentina’s Patagonia Run. Let’s dive in. 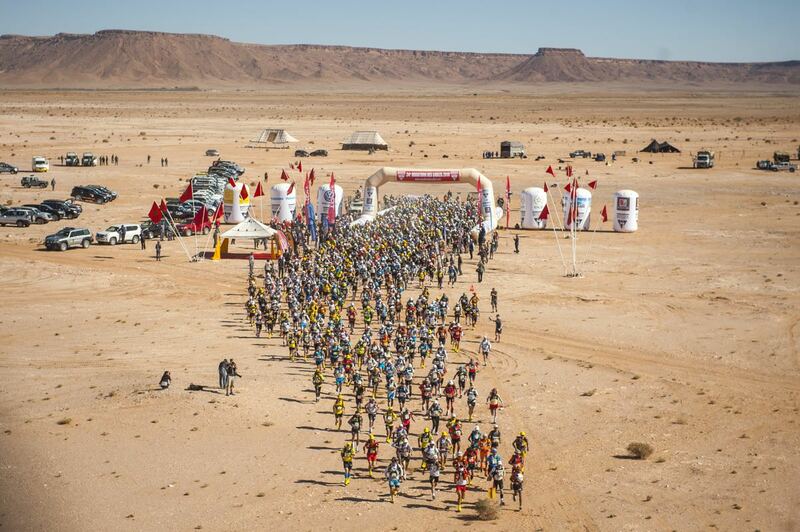 The 2019 edition of the Marathon des Sables finished Saturday in the Moroccan Sahara Desert, not far from the country’s border with Algeria. After five competitive stages and one non-competitive charity stage, runners totaled approximately 226 kilometers (140 miles) of running. Each race edition features a unique course route and this year’s edition had some fascinating features. Sunday’s Stage 1 was a flat and fast 32k (20 miles). Stage 2 was another 32k, but featured a 13k crossing of Morocco’s largest dune field, the Erg Chebbi. Some of the sand dunes in this field rise over 1,000 feet. Stage 3 was a 37k (23 miles) run through a mixture of desert terrain. Wednesday’s Stage 4 was the revered long stage, this year 76k (47 miles) in length and featuring sand for more than two thirds of the stage’s distance. Stage 5, the final competitive stage, was a marathon distance containing several mountain crossings, including the famous Jebel Otfal, another feature rising over 1,000 feet. Saturday’s Stage 6 was a 6k (4 miles) untimed charity stage. This year, it was an all-Moroccan men’s podium. Morocco’s Rachid El Morabity won the men’s race by a slim 8.5 minutes, with a total time of 18:31. This victory was his seventh. He won each stage but one, and several of them by a latest-race sprint away from his closest competitor, his younger brother. Mohamed El Morabity took second place with a total time of 18:39. All week, he seemed to work largely together with his older brother, only being gapped at most finish lines by a matter of seconds or a few minutes. This is his third second place at MDS, and it seems it’s only a matter of time until he takes over the crown from his brother. Morocco’s Abdelaziz Baghazza rounded out the men’s podium, finishing 50 minutes off the win, in a total time of 19:21. Baghazza now has two high MDS finishes, fourth in 2017 and a podium spot this year. Morocco’s Abdelkader El Mouaziz finished fourth in 19:38. Italy’s Antonio Alongi was the lone European to break into the men’s top five with a fifth-place 19:43. Ragna Debats (Netherlands but lives in Spain) ran with complete competitive control all week, winning all five stages unchallenged by the rest of the women’s field and a couple times in the top 10 of the general classification. Her total time was 22:22, which placed her in 12th place overall. Morocco’s Aziza Raji took second place, finishing second in every competitive stage but one, also running a controlled, smart race all week. She improves greatly upon previous fifth- and sixth-place finishes here, with a total time of 25:17. Great Britain’s Gemma Game took third for the second year in a row, and she seemed to get stronger as the week went on, showing her stage-racing expertise. Her total time was 26:04. 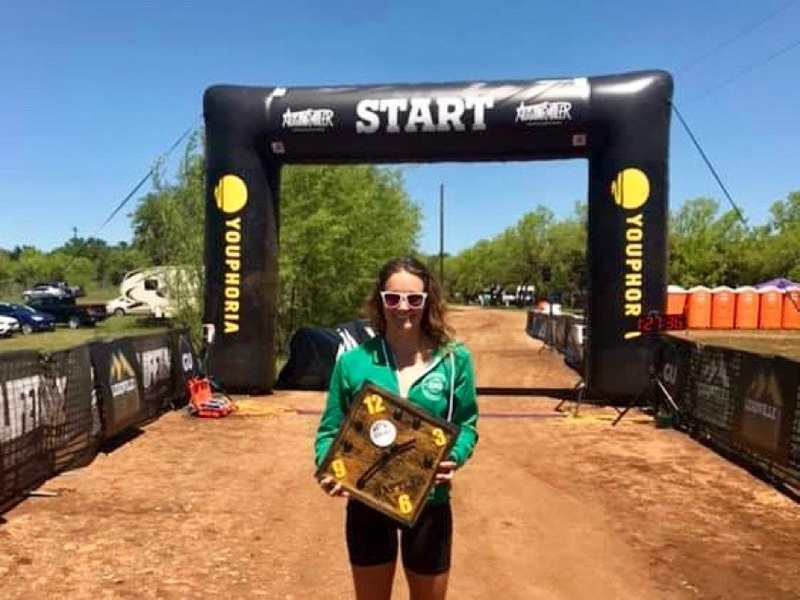 Great Britain’s Lauren Woodwiss took fourth with an overall time of 29:00, and Spain’s Monica Guilera rounded out the top five in 29:50.
iRunFar was at the Lake Sonoma 50 Mile telling you all about it. If you followed along, you caught Jared Hazen simply running away from a pair of would-be chasers in Sébastien Spehler (France) and Thomas Evans (U.K.). Hazen finished the hilly out-and-back in 6:08, and that’s the race’s third-best finish ever. The time trails only two runs by a fellow named Jim Walmsley. Hazen, still just 23 years old, gets a trip back to the Western States 100 courtesy of a Golden Ticket. He was third there in 2015. Spehler and Evans did right by the international field and finished second and third in 6:15 and 6:16. Anna Mae Flynn closed hard to clip two-time winner YiOu Wang in the crunch-time final half mile. The two both finished in 7:25, with Flynn 17 seconds in front. The high-stakes race awarded Flynn a Golden Ticket entry to Western States. You can read more about the race in iRunFar’s LS 50 results article. The year’s fifth and final Golden Ticket race is the April 27 Canyons 100k in northern California. Save yourself the Google search, Istria is a peninsula in northwestern Croatia. 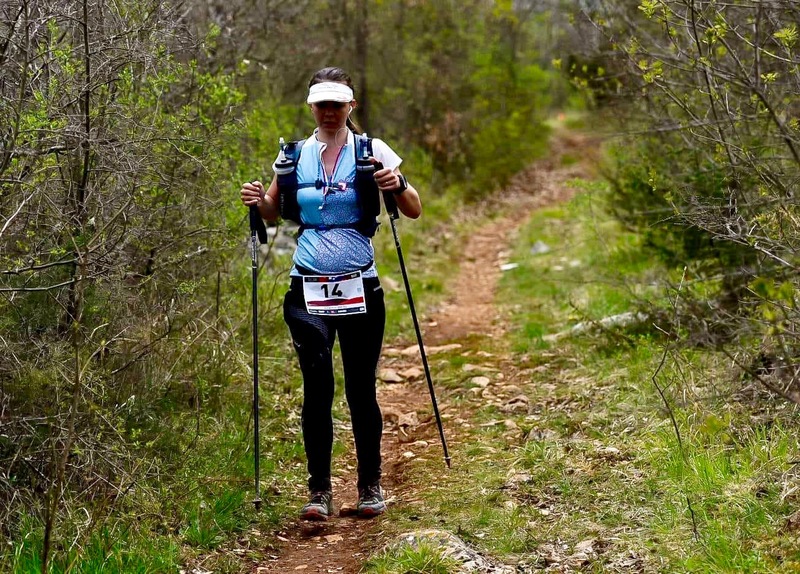 The 100 Miles of Istria course goes point to point, east to west, for a coastal finish, and the race was again part of the Ultra-Trail World Tour. Among all of the men’s and women’s podium, the only familiar name–to me, at least–is that of Kazafumi Ose (Japan), and he won the men’s race in 18:38. Ose was most recently second at this year’s 9 Dragons Ultra in Hong Kong. Second-place Gregoire Curmer (France) followed in 18:55, and Luca Manfredi Negri (Italy) was third in 19:30. Katja Kegl Vencelj (Slovenia) was as close to local as the podium got, coming from neighboring Slovenia. She won in 23:16, and that’s nine minutes better than her runner-up finish from 2018. With stinging rain, cold snow, and high winds, conditions for this year’s race were said to be more difficult than that of last year too. Federica Boifava (Italy) and Dariia Bodnar (Ukraine) were second and third in 24:25 and 24:46, respectively. Penyagolosa Trails is an Ultra-Trail World Tour race too. Going 108k (67 miles), the 8th annual run gains an impressive 5,600 meters (18,400 feet) of elevation. 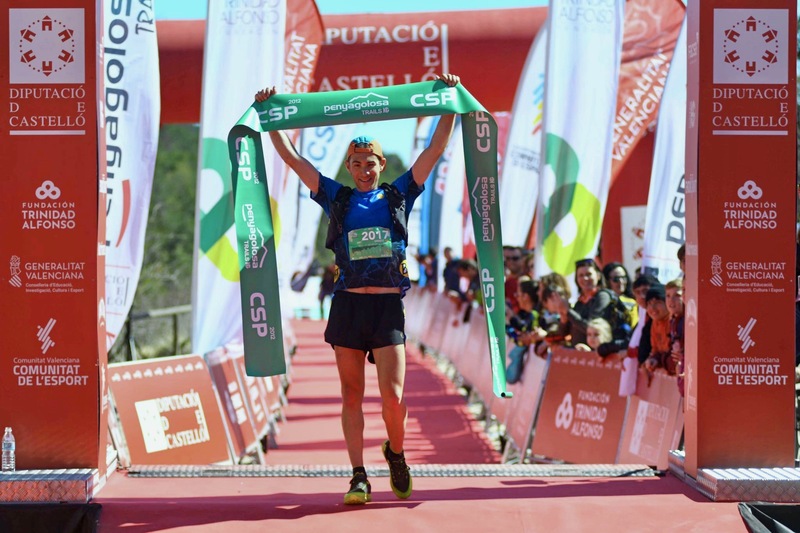 It was an all-Spanish podium with Ernest Ausiró edging Cristofer Clemente by four minutes, taking the lead only in the final kilometers. The two frontrunners finished in 11:56 and 12:00. Ramón Recatalà was third in 12:20. Harry Jones (U.K., but living in Thailand) was the first non-Spanish runner, finishing fourth in 12:36. Jeff Colt was the top American, finishing sixth 12:48. Borja Fernández (Spain) won the accompanying 60k race in 5:24. ¡Ay, caramba! The women’s race too perhaps lacked the competition expected from a UTWT contest. Absent a deep field, Gemma Arenas (Spain) won by over an hour in 14:13. She’s a multiple-time winner on this course. Second- and third-place Tessa Chesser (USA) and Angels Centelles (Spain) finished in 15:36 and 15:43. Spanish all-star Azara García won the women’s 60k in 6:15. The second-ever Patagonia Run 100-mile race was the weekend’s third Ultra-Trail World Tour contest, but even with that global distinction, the men’s race wasn’t at all close. Pau Capell (Spain) won by over three hours. Capell finished in 19:08, and that was almost three hours better than the 2018 winning time too. Sergio Pereyra (Argentina) was second in 22:20, and Krystian Ogly (Poland) was third in 23:20. Caroline Sebert (France) won the women’s race in 25:48. Tania Diaz and Veronica Ramirez, both of Argentina, finished together in 26:25 after running together all race, though the results currently list Diaz with a two-second lead. The next Ultra-Trail World Tour races are the April 26 Ultra-Trail Mt. Fuji 100 miler in Japan and the April 27 Madeira Island Ultra Trail 115k on the race’s namesake Portuguese island. There is no IAU 100k World Championships in 2019, and that crippled this year’s Mad City 100k field. I don’t mean to lament a lack of competition, but there were just 12 men and only four women finishers in the race, and this was the USATF 100k Road National Championships. Israel Merkle, the 2016 Tussey Mountainback winner, was victorious in 6:54. Martin Erl and Mike Bialick were a minute apart in second and third at 7:14 and 7:15. The race had a simultaneous 50k and there Craig Hunt and Kyle Masterson ran 2:51 and 2:52. Thin field aside, the lead two women came to race and their finish was incredibly close. Caroline Cotsakis and Nora Bird ran 9:48 and 9:49 with only 32 seconds separation. Pamela Chapman Markle was third in 11:30. And the women’s 50k was incredibly close too. Caroline Veltri edged Tara Richardson, 3:27 to 3:28. The two were only 46 seconds apart in that tight finish. Mt. Diablo in the flowers-in-your-hair San Francisco Bay Area of California was the place for Brazen Racing’s Mt. Diablo Trails Challenge 50k. Lon Freeman and Carrie Karsgaard won in 4:33 and 5:57. Full results. British Columbia’s Diez Vista 50k does a big loop around alpine lakes McCombe and Buntzen. Mike Sidic and Katie Mills did that loop the fastest, winning in 4:13 and 5:09. Full results. Chris Concannon and Shalise Morgan won the Ultra Adventures Zion 100 Mile race in Utah in 19:05 and 25:22, respectively. Brady Poskin and Katie Asmuth won the accompanying 100k in 9:42 and 9:57, and Kristian Wieclawek (Canada) and Stephanie Amack led the 50k in 4:35 and 4:53. Full results. Paddy O’Leary went back to his Irish homeland and ran the 100k Wicklow Round and all of its 26 peaks and 6,000 meters (19,700 feet) of elevation gain. 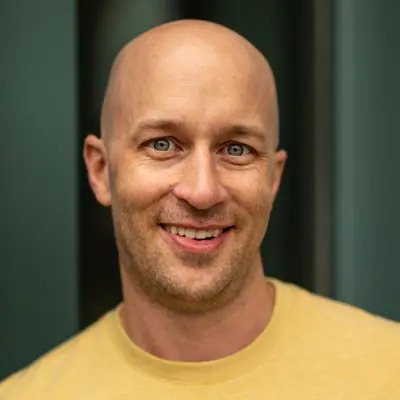 O’Leary’s 16:27 is a new fastest known time, some 42 minutes better than Joe McConaughey‘s 2018 run. More details. James Blandford and Sheila Vibert won the Civil War-themed Bull Run Run 50 Mile race in Virginia, running to 7:57 and 8:59 finishes. Full results. In Texas, Justin Ladner and Gwen Golaszewski won the Austin Rattler Run 66k in 5:18 and 7:00, respectively. Full results. Oregon’s Peterson Ridge Rumble goes 40 miles, and Mario Mendoza and Tyler Green threw down. The two ran 4:08 and 4:09, only separated by 39 seconds, and both went way under the previous course best. And this is a race with history going back to 2003. Ashley Nordell won the women’s race in 4:58, and that was just less than two minutes back of the women’s course record. Full results. Days before the race, a whole bunch of snow in the forecast forced the cancellation of Minnesota’s Zumbro 100 Mile. Official statement. The year’s first Skyrunner World Series race is next weekend’s Mt. Awa Skyrace. The 33k (20-mile) race gains 2,400 meters (7,900 feet) of elevation with a high point near the 27k mark and a huge downhill to the finish. Top men’s entrants are expected to include Jon Albon (U.K.), Oriol Cardona (Spain), Marc Casal Mir (Andorra), Oscar Casal Mir (Andorra), Ruy Ueda (Japan), and Pablo Villa (Spain). Leading women include Sheila Avilés (Spain), Hillary Gerardi (USA), Emily Hawgood (Zimbabwe), and Anne Lise Rousset (France). We went heavy on international-race results this week, so we hope that readers of the U.S. can leave a comment with results and information for their hometown races. Tell us what other races caught your eye this weekend, or where you were racing or spectating. This column publishes on the morning of the Boston Marathon. Patrick Caron, Ian Sharman, and Michael Wardian will be there, and what other trail and ultrarunners? Hellbender 100 was this past weekend and is a 6 point UTMB qualifier. Alyson Kirk and Sam Reed both won with Sam taking down the CR from Uncle Karl. RD Aaron Saft put on a great race! I think a lot of us wanted to know how Meghan did at MdS. Congrats to her strong 7th place—Meghan, I hope you write about it! Also it’s too bad Aravaipa’s Whiskey Basin ultra in Prescott, AZ (88K & 60K) didn’t post results yet. Zach & Nicole Bitter both won again, and I believe Nicole beat her prior CR by a big margin. Heya Sarah, thanks for asking. As editor, I didn’t really feel my result ‘made the cut’ for TWIR. 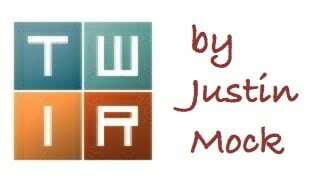 :-) I do plan to put together a couple gear and nutrition articles as my ‘report’ for this year. Ultralight gear and food talk! Stay tuned for a bit. As Meghan noted, it’s coming shortly. With Meghan over in Morocco, I’m left to pull together all of the post-race pieces of our coverage and I prioritized capturing and processing post-race interviews, so we could have full transcripts at the time of initial publishing. All are coming in the next few hours. irunfar has a policy of only reporting the top finishers regardless of the popularity of any particular individual. I think not reporting Meghan’s result shows their integrity. The link to full results was provided and it only took me about 30 seconds to find her result. Agree, a separate race report would be nice. Meghan I’m sorry it sounds like you caught a bug. Looking forward to your report and gear/food advice! Well done to Paddy O’Leary, the fastest Wexican since Martin Storey in 1996. We were dancing at the crossroads all week long! At Lake Sonoma, who took the second Golden Ticket for the men? It’s likely to be Stephen Kersh, as Seb Spehler intends to decline that option. Ultra Expeditions put on The Wild Canyon Ultra this past weekend in Caprock Canyons, Quitaque, TX. The conditions made the race brutal as all day long the runners had to deal with wind, rain, sleet, and snow. There was only a single 100km finisher in 14:54 (out of 7), 24/31 finished the 50 km race with the winner coming in just above 5:15, and distances of 5, 10, and 25 km brought the entire field of runners to just below 200. Despite the weather the course running through the canyon is absolutely beautiful and featured between 2,000-2,500 feet of climbing per 25 km loop (with 1 major climb accounting for most of the gain) which made for a fun and technical course which definitely got a bit sketchy given the conditions…if you weren’t trying to stay upright due to wind, ice,and rain then you were trying to navigate thick red mud that made it nearly impossible to actually run. A “golden ticket” was probably out of the question, but it looks like 76 y/o Denis Trafecanty got a finish, and that sounds pretty golden to me! I don’t think the Zumbro is “upstate,” rather SE MN…but savage nevertheless. It was a busy weekend in racing! Wanted to point out that Zach and Nicole Bitter took first in their respective races at the Whiskey Basin 88k in Prescott, AZ for the second year in a row. Nicole bested her own course record, not sure of Zach’s time. Oak Mountain 50k was this past weekend in Alabama. It’s a gorgeous, rugged course.